Somewhere around the last day or two, the older boys have an evening discussion about girls keeping their Sikhi saroop (not trimming, shaving, plucking etc.) and talk about whether or not they would marry a girl who kept their saroop intact. There’s always a couple vocal boys who proudly stand behind their sisters and vow they would only marry a girl who kept all their kesh, while other boys are equally opposed, as it makes them uncomfortable. However, the majority seem to be indifferent – as there are many things they look for in finding a mate – self-confidence, physical attraction, that “spark”…and whether or not she chooses to remove her body hair or not really doesn’t matter. Everyone generally falls in to one of these categories – then the discussion ends, and everybody goes on their merry way. It’s funny…I’ve sat through this discussion decades ago as a camper…and it hasn’t really evolved much. So I started thinking…what is it like to be a young girl who’s been raised to keep her kesh (all her kesh) and comes to camp only to find out that she’s in the minority? It must be pretty confusing considering she was taught that this is something that Sikh girls do. I know for me, camp was an opportunity to be around people with similar upbringings, who looked like me and shared my challenges…it was my opportunity once a year to not feel “different.” How must it feel to be that girl who still has to explain herself to the other Sikhs? Perhaps she may find herself more comfortable with her school friends – after all, around them she knows she’s supposed to be different. In my most simplistic way of looking at Sikhi, I believe that Guru Sahib would not have asked anything of his son that he would not have asked of his daughter. Keep in mind, this is the same Guru who fought alongside Mai Bhago in the Battle of Mukatsar. And if Sikh men are “expected” to keep their kesh and the rest of the Sikh uniform even prior to taking Amrit – why wouldn’t the same be expected of Sikh women? How and when did this disparity occur? Is there question over whether Sikh women kept their saroop during the Guru’s times? Is there a debate to be had over whether Sikh women are supposed to keep all their kesh in the first place? Is this simply the result of Western, Punjabi, or other cultural influences on our identity? Or is this just a matter of us everyday Sikhs needing to re-align our perception of beauty to that of the Guru’s? I don’t claim to know the answers, but I do feel the discussion needs to emerge from the isolated camp dorm rooms and be brought out in the open. In my conversations with women who keep their Sikhi saroop or wear Dastaars, I’m alarmed to find that many receive more support from non-Sikh friends and instead have been discouraged by their Sikh peers and elders. It is about the rigid gender discrimination within the Sikh community. It is about our inability to create an effective support structure for young women in the same way we do with young boys. This to me is not a trivial matter. As the Chinese proverb goes, women hold up the “half the sky“, and I believe that Sikh women – our daughters, sisters, mothers, grand-mothers, and great-grand-mothers – hold up half the panth. And if we as a community are unable to support and encourage Sikh women who choose to make commitments toward the Guru – then we as a community have a lot of self-reflecting to do. I believe through baani Guru Sahib has given us the ability to empower ourselves, so I implore these women, who adorn the Guru’s uniform not to feel discouraged, but instead see themselves as torchbearers, reviving Sikh tradition in the footsteps of Mata Sahib Kaur. That said, I also believe that Guru Sahib has designed the saadh sangat with the sole purpose of uplifting one another along this path…and help carry us through difficult times. Where is the saadh sangat now? At the end of this particular camp, during the final deevan…the staff recognized two boys who recently started keeping their kesh. As they walked up to the stage, showered with jakaaray – I couldn’t help but get a bit choked up. I’ve always admired these brave Sikhs who fall in love with the Guru, and want to embrace his image. And immediately after, a staff member announced that one of the girls, who chose to remain anonymous, also decided to become “Saabat Soorat“, a term I have never heard before referring to a girl. This is the first time I witnessed a young woman being recognized for keeping all her kesh, and I was particularly proud of how quickly the jakaaray filled the air yet again…led completely by the boys. But given where we are as a community…even this is progress. I’ve always been a history buff…a Sikh history buff, that is! I would take every opportunity I could to listen to a saakhi about our rich history. But as a child growing up in the US, I rarely found books that could truly reflect the wonder and beauty of the Gurus’ lives. The history books I read were published in the early 70’s, and although now I can appreciate what hard work it must have taken to translate Sikh history for children into a foreign language – at the time, I had no interest in reading these books. The stories were hard to understand, the dialogue seemed unrealistic, and for whatever reason…they didn’t speak to me. 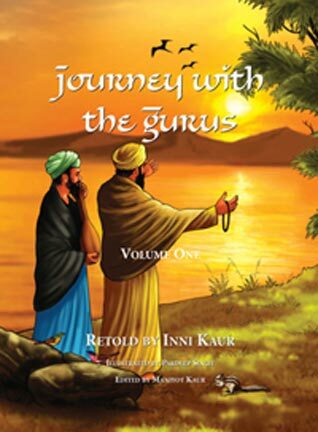 Inni Kaur’s Journey with the Gurus is a series of short stories about Guru Nanak’s life, followed by discussion points where the author suggests ideas and principles to emphasize while reading with your child. I’ve been blessed with an opportunity to preview Journey with the Gurus along with my family, and I can say for all of us…this is a book that speaks to us! For example, we all know the saakhi where young Nanak refused to wear the Hindu janeu – a string band worn diagonally by Brahmins from the shoulder down – but what was going through his mind that morning while family and friends were gathering for the event to initiate him into the janeu? We know the saakhi of Guru Nanak’s disappearance for three days in the River Bein, but what were the locals thinking during those three days? How did Bebe Nanaki feel? Where did Bhai Mardana think his friend had gone? Journey with the Gurus takes us there and let’s us experience history. These stories introduce me to personalities I had heard of but never fully appreciated – the chief of Talwandi, Rai Bular; the Governor of Sultanpur, Nawab Daulat Khan Lodhi; and the close friendship Guru Nanak had with his brother-in-law, Jairam. But of all these relationships, it was the one with his older sister, Bebe Nanaki, that I connected with the most. I’ve always heard that Guru Sahib and Bebe Nanaki were very close and she was a supporting and loving sister. 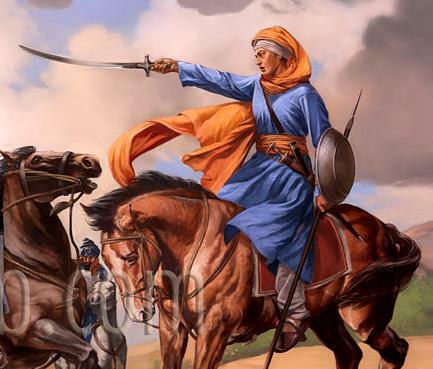 And as per tradition, she is proudly known as the first Sikh of the Guru, but as much as she was an influence in his life, very little is written about her. “Bhraa ji, you don’t want to know all the things that she made me do. And to top it off, she always won at hopscotch,” said Nanak, laughing and shaking his head. It was amazing to hear Guru Sahib and Bebe Nanaki interact in a way that a younger brother and protective older sister typically would…something so many of us can relate to. I found the tone of these conversations refreshing and quite different from what I’ve read before or would have expected, given the cultural norms of the time. The major events in the stories have been retold in a creative way in modern language, but the facts as we traditionally know them are still intact. As for all the dialogue in between, I wonder why wouldn’t Guru Sahib and Bebe Nanaki converse like any other brother and sister would? Why wouldn’t Jairam facilitate Guru Sahib’s move to Sultanpur to help his in-laws out, and re-unite his wife with her brother? And why wouldn’t Mehta Kalu ji and Mata Tripta ji admire their daughter-in-law for being a good wife and mother? I mean…Guru Sahib was such a progressive thinker and way ahead of his time; he preached equality, kindness, compassion – and influenced the masses by doing so – why couldn’t such conversations take place? Reading such a different perspective to these saakhis is like reading Sikh history for the first time. I’m glad to see the book is labeled “Volume One”, because I can’t wait to read the discourse between Guru Nanak and Bhai Lehna, or the conversations between Bhai Gurdas and Guru Arjan on the bank of Ramsar while scribing the Guru Granth Sahib. What I appreciate most about this book is how engaged our children were while reading it – whether it was the beautiful illustrations that kept our little ones sneaking a peek into the next page or the discussions we had afterwards that would go on past bedtime. It consists of a role-playing exercise where I play the ignorant passerby asking the kids about who they are and what Sikhi is all about. The goal of this workshop is to come up with our own “elevator pitch” – concise yet thoughtful answers to some of the most common questions we’re asked. No matter how many times I’ve facilitated this workshop, I’m always amazed at how little the campers are able to answer about very basic questions on Sikhi and Sikh practices. It doesn’t even matter what kind of camp – from those that follow the Rehat Maryada closely to those who do not – the results are much the same. In one camp, when the kids were being particularly unresponsive, I veered off my lesson plan of “How we explain our Sikhi to Non-Sikhs“, and instead started asking the group of 15-17 years olds about themselves. What made them want to follow the Guru’s path? Surprisingly, there were still few answers. In every group, there’s always one or two who raise their hands and say all the “right things” and perhaps one or two brave souls who object and say, for example, that keeping their kesh is no longer necessary, and, for that matter, neither is organized religion. Even this perspective I respect because at least they are thinking, reasoning, and vocalizing their opinions. I’m not really concerned about either end of this spectrum, but what does worry me is the vast majority in the middle who appear to be, well…indifferent. I feel my parent’s generation did the best they could raising Sikh youth in a land and culture different than their own. As a child growing up on the East Coast of the U.S., I was blessed with opportunities to go to Sikh camps. I loved going to camp and being around people who looked like me and shared my struggles. I have fond memories of gathering around the camp fire with all my friends and shouting jakaaray until we lost our voices – I was inspired…but I’m not sure why. I grew up participating in kirtan competitions, speech competitions, paatth competitions, and I constantly had the company of Sikh friends, but even in all this…there was still something missing. Sometimes I look back at all the people I competed with in kirtan competitions, and those who shouted jakaaray along with me at camp…most of them aren’t Sikhs anymore. Perhaps they felt something missing too. As many of us grow out of adolescence – start to think for ourselves and get exposed to ideas, opinions, and thoughts that we never knew existed – our beliefs get challenged, and it takes a little more than jakaaray and first place trophies to keep us rooted in our Sikhi. Much of that external stuff eventually fades away, and we’re forced to look within. I’m convinced that fostering a gurbani-based environment at our camps, Khalsa schools, Sikh Student Associations, and, most importantly, our homes, is the best way to engage with the next generation of Sikhs, so that they can individually and collectively create connections with the Guru. So maybe this means that the SSA substitutes one if it’s monthly meetings for Gurbani Vichaar, or our camps and Khalsa schools build their lesson plans on reflective exercises around a shabad, and perhaps as we put our sons and daughters to bed every night, we help them find strength and courage in a shabad in the same way they do with a saakhi. By cultivating that inner relationship with the Guru – through shabad, simran and reflection – I believe the external aspects of Sikhi will fall into place. We will then always be fulfilled and our questions will always be answered. 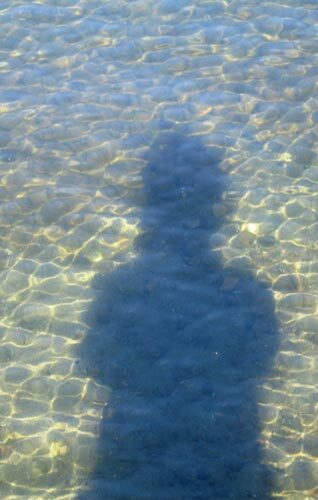 A friend once said to me, if we want to see our reflection in the lake, the water must first be still.